It may be the case for you, as with many males that you are suffering from low levels of testosterone. This is not uncommon but can lead to adverse problems such as Gynecomastia or low libido. Here are some helpful tips you can use to increase your levels of testosterone without having to use anabolic steroids. A common trend in males that are suffering from a low level of testosterone or low testosterone production is a lack of sleep. Sleep deprivation can have a profound affect on the hormone levels in the body. This is because a lack of sleep also increases levels of the stress hormone cortisone. High cortisone levels have a direct effect on low levels of testosterone. If you struggle with sleeping, there are several things you can try such as limiting the use of electronics an hour before going to bed, reducing caffeine intake during the day and restricting this to only consuming before midday. If life style adjustments still aren’t enough, there are supplements such as melatonin that can help to naturally induce a calming state, helping you fall asleep easier. Weight can play a major part in testosterone levels. Both overweight and underweight males are more likely to have a lower testosterone level. What makes being overweight so bad is that fat contains aromatase, which is an enzyme that actually converts testosterone into estrogen. This can lead to softer muscles, development of man breasts or otherwise known as gynecomastia. Although its tough, losing fat will have a profound effect on increasing you testosterone levels. Testosterone output adapts to your body's requirements. If you are an active person, your brain knows that you need higher levels of testosterone to maintain the muscle and bone strength required for physical activity. As soon as you slip into a pattern of little or no exercise, your body will respond with producing only enough testosterone as required. Keep active, increase cardio activities, and do it regularly, ideally at least 3-4 times per week. Keeping active, and losing weight is sometimes easier said than done. Luckily there are many natural ingredients that you can supplement into your diet to increase your testosterone, such as tribulus terrestris. Tribulus terrstris in particular contain plant steroidal sapponins, which have been shown to increase testosterone levels. It usually comes in a capsule or pill form and can be taken orally. One thing you should take into consideration if you’re thinking about using testosterone supplements is getting a quality product with good potency. 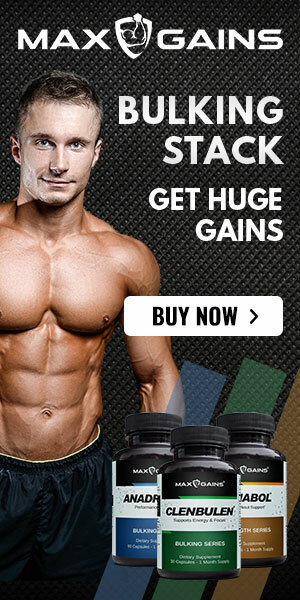 As a good starting point for testosterone boosting supplements, take a look this list using the link below.